Basam Aziz is from Kandahar Province. After learning at Abdul Hadi Dawi School he studied Journalism at Kabul University (2007). 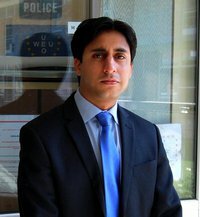 Since 2009 he is working as a Press and Public Information Officer for EUPOL in Kabul, Afghanistan.